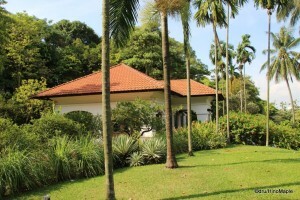 Fort Canning is an historical landmark in Singapore. According to the official website, it is one of the most important historical landmarks in Singapore. 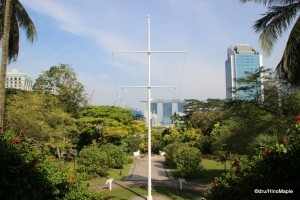 It has seen various wars throughout Singapore’s history and continues to mark the centre of Singapore. On my visit to this little park, I didn’t necessarily feel the history but I did feel the importance of this park. 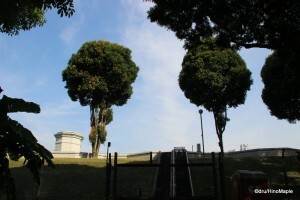 There is a large water reservoir as well as a beautiful park on the hill. You do need to be a little in shape as the hill itself is a little steep but the lush green trees that surround the park and the beautiful historical buildings adds to the beauty of this park. Lots of tourists do explore the park and I would guess that locals don’t necessarily visit too often, but visiting on a weekday meant that the locals were probably at work so I couldn’t tell if that was true or not. I entered Fort Canning from the Hill St. entrance and it was not the best idea. I had passed the entrance a couple times and I saw the steps leading into the park. There is a large retaining wall with the name of the park inviting you to enter the park but the trees on the hill hide what you will have to climb. When I started my ascent, I didn’t think entering the park would be so difficult, but the ascent goes straight up with only a few places to rest. Unfortunately I couldn’t find any information on the actual elevation change but it wasn’t small. As I made my ascent, under the heat and humidity of Singapore, I had to stop at least once, maybe twice. It was not a pleasant walk to get up there but the views were worth it. 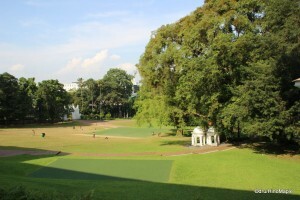 Once I was at the top, I was greeted by a nice little open area called the Flagstaff Lawn as well as the Raffles House. The Flagstaff Lawn was nice and the Raffles House was quaint. The house was nothing more but an open room and from the looks of things, it is possible to rent it out for various events. It is a great place to just relax but you do have to get there and the “hike” up to the top would make you wish you had a shower up there. From Raffles House, I did a tour of the entire park by walking around the Fort Canning Reservoir. The reservoir is a large pool for drinking water, as far as I could tell. I wasn’t able to get a lot of information and by the looks on Google Maps it was just a simple field. The unfortunate part is that the entire reservoir is fenced off so you can’t actually access it. You can try but you are likely to be shot, at least by what the signs showed. The walk around the reservoir is pleasant and it is within a small jungle like forest. The tall trees provide you with a lot of shade keeping you cool enough, but the heat and humidity still get to you. On the west side, you can see a few historical trees that have been around the area for a long time as well. 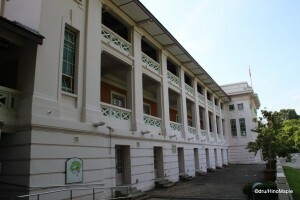 On the north side of the reservoir is the Fort Canning Centre, a large art gallery. The building is really beautiful but after a day in the heat, I was too tired to truly appreciate it. 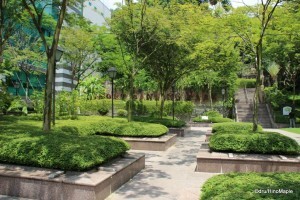 The large grass field in front of the Fort Canning Centre is very beautiful and a great place to just relax in the sun. From the looks of things, they also hold large concerts there from time to time. I’m sure it is a great place to party when you are allowed to. Fort Canning is not the best place to visit but if you have a little time to burn, I would recommend visiting it. 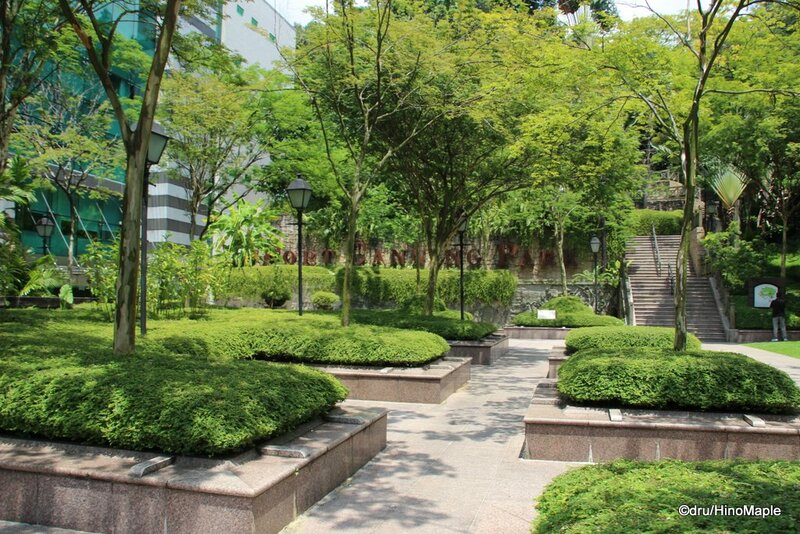 If you love nature and parks, you should go to Fort Canning. It is a nice oasis from the city itself and you can easily spend an afternoon on a bench with a nice view. Unfortunately, you don’t want to be in the park during a thunderstorm. While you probably don’t want to be outside during any thunderstorm, there are signs near the entrances advising people not to enter the park during or soon after a thunderstorm. I wonder if this is due to flash flooding or something similar. As long as it is sunny, I’m sure this park will be great. Bring a lunch and have a nice picnic in the open areas or on a park bench. It isn’t too busy that you can’t find a place to just relax a bit. 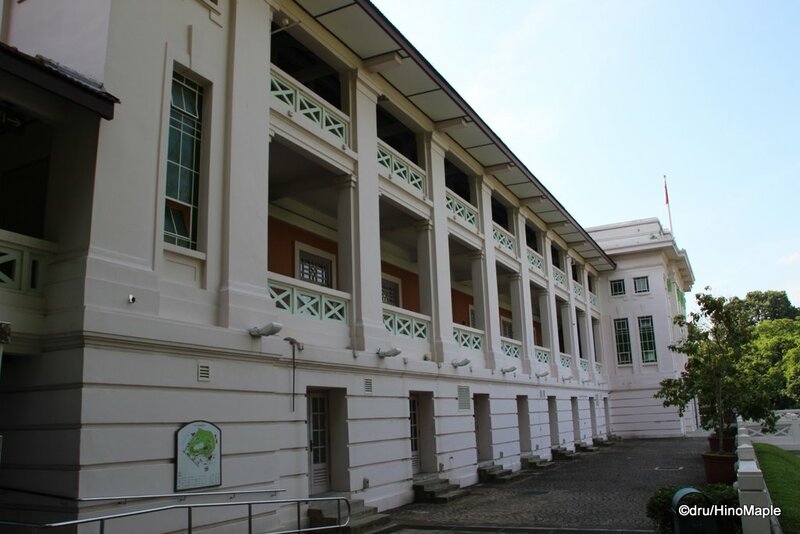 This entry was posted in East Asia and tagged Canning, Flagstaff Lawn, Fort, Fort Canning, Fort Canning Center, Fort Canning Centre, Fort Canning Park, Fort Canning Resevoir, Hill St., Hill Street, Raffles House, Singapore by Dru. Bookmark the permalink.